1. A family that returned with Zerubbabel (Ezra ii. 16; Neh. vii. 21), the head of which signed the covenant with Nehemiah (Neh. x. 18). In I Esd. 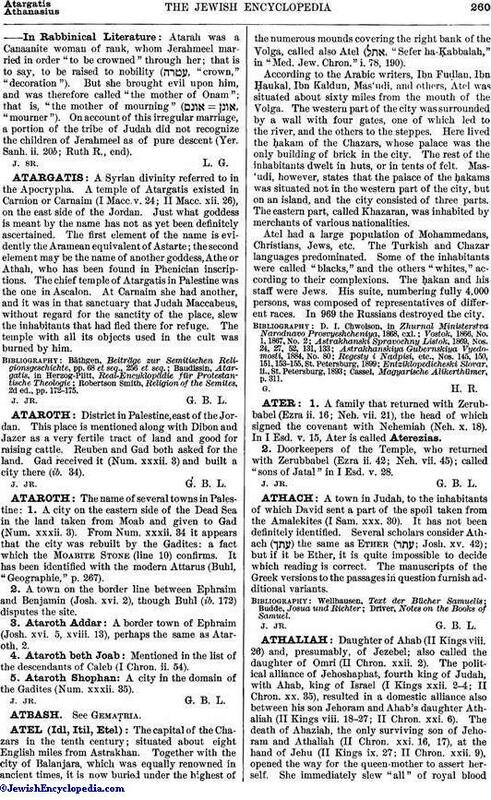 v. 15, Ater is called Aterezias. 2. Doorkeepers of the Temple, who returned with Zerubbabel (Ezra ii. 42; Neh. vii. 45); called "sons of Jatal" in I Esd. v. 28.